Cristal Champagne by Louis Roederer has earned a reputation as a luxury Champagne. In fact, many people purchase Cristal at exorbitant prices because they feel it is a symbol of luxury, while others wonder what makes it so special. 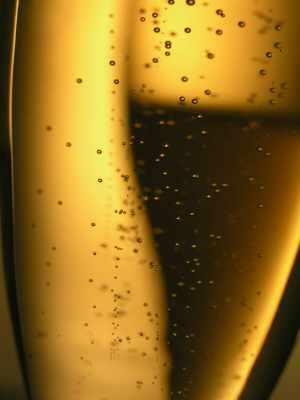 Cristal Champagne is a traditional sparkling wine made using the methode champenoise in France's Champagne wine region. It consists of Pinot Noir and Chardonnay grapes, blended in approximately equal amounts. While many Champagnes come from a blend of vintages, Cristal is a vintage Champagne, made from grapes grown in only the best years. It is not produced every year - only during the vintages that yield grapes worthy of the quality required to make this prestige Champagne. The wines are also made only in limited production runs with the finest hand-selected grapes from the vintage. The grapes are Estate grown in what are considered to be the Champagne region's best vineyards including Côte des Blancs, Montagne de Reims, and the Vallee de la Marne. Winemakers carefully blend and age the Champagne for a perfect balance of flavors and aromas. Louis Roederer prides itself on making Cristal with a balance of freshness and aging.The wine has fine, effervescent bubbles and opens up to aromas of citrus fruits and toast. As you sip Cristal, you will notice rich and creamy honeyed flavors with juicy fruits, minerals, and crisp acidity. While flavors and aromas vary from year to year, the Champagne is known to be extremely well balanced and silky on the palate. As a Champagne brand, Louis Roederer has been making sparkling wines since 1833. Cristal is Louis Roederer's flagship prestige brand of Champagne, but the winemaker offers many other vintage and non-vintage Champagnes, including a rose and a Blanc de Blancs. Because it is imported from France, Cristal's price point fluctuates with the value of the Euro/American dollar. A 750 mL bottle of vintage Cristal typically costs between $150 and $200 for the most recent vintage. Earlier vintages of Cristal may be more expensive as the availability of the wine becomes rarer. You can find Cristal at upscale wine shops, through wine auction sites such as Sotheby's or Wine Bid. Websites like Wine Searcher can also help you locate available bottles in the United States and abroad. Louis Roederer first produced Cristal in the mid-1800s for Tsar Alexander II of Russia. Fearing assassination, Tsar Alexander ordered the winemaker to produce the Champagne in a clear bottle so no one could hide a bomb in it. Louis Roederer commissioned a clear lead crystal bottle for the Champagne, which ultimately led to the name "Cristal" for the fine wine. The wine itself was not commercially available until the 1945 vintage, when it debuted to the public with its signature clear bottle. Today, Cristal is highly sought after as a sign of affluence and exclusivity. The clear bottles come affixed with a gold label and wrapped in ultraviolet resistant cellophane to protect the wine. Recent vintages include 2000, 2002, 2003, 2004, 2005, and 2007. The question many ask is if Cristal is worth the price There's no doubt this exclusive Champagne is well made, sublimely balanced, and rather rare. However, the difference between a $60 bottle of Champagne and a $200 bottle of Champagne is often in the eyes of the beholder. If you can afford Cristal and want to give it a try, it's certainly worth a once in a lifetime experience. If, on the other hand, $200 seems out of reach for a bottle of wine, you can find many fine French Champagnes at a much lower price point.